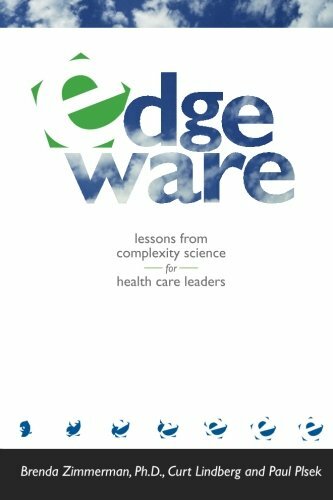 Amazon.com description: Product Description: This publication is the first book to address complexity science in health care. It represents a revolutionary new way for health care leaders to think about how they engage employees, work with physicians, manage unmanageably complex tasks and plan for an uncertain future. But it's not for health care workers only - this book is useful to anyone interested in how complexity science is changing not only business management, but also how many disciplines of science relate to one another. Complexity science reframes our view of many systems that are only partially understood by traditional scientific methods. Systems as apparently diverse as stock markets, human bodies, ecosystems, immune systems, termite colonies and hospitals seem to share some patterns of behavior. These patterns provide insights into sustainability, viability, and innovation. About: This publication is the first book to address complexity science in health care.